Laetitia Wajnapel is a Parisian journalist, consultant and expat who started MademoiselleRobot.com in London in 2007, originally as a way to stay in touch with faraway friends. The site quickly transformed into a fashion and lifestyle site, featuring style posts, fashion reviews, travel journals, videos, interviews and much more. Today the site also covers menswear and has a U.S. correspondent in Los Angeles. Laetitia, who grew up in Paris, is the daughter of a French father whose parents are from Eastern Europe, and a mother who was born in Tunisia but moved to France when she was young. 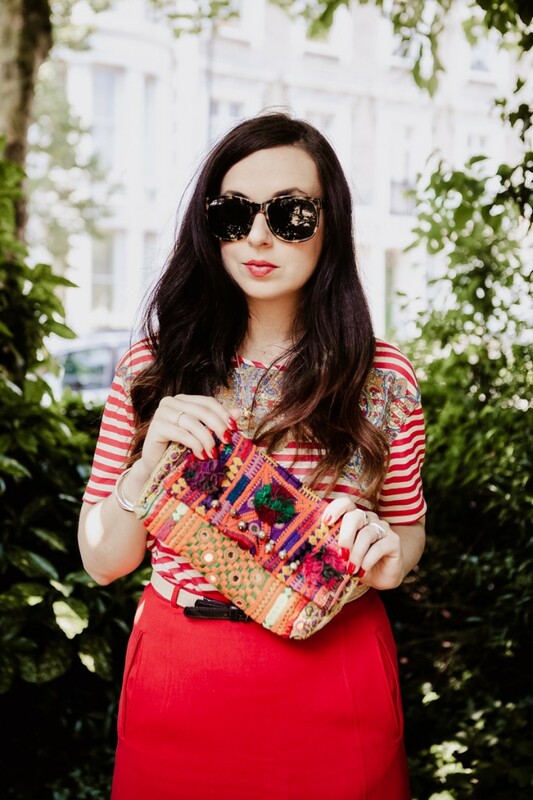 When she was 25, Laetitia impulsively moved to the U.K. in a move that would turn into a rather promising and permanent posting in London, where she eventually started her blog while on maternity leave. 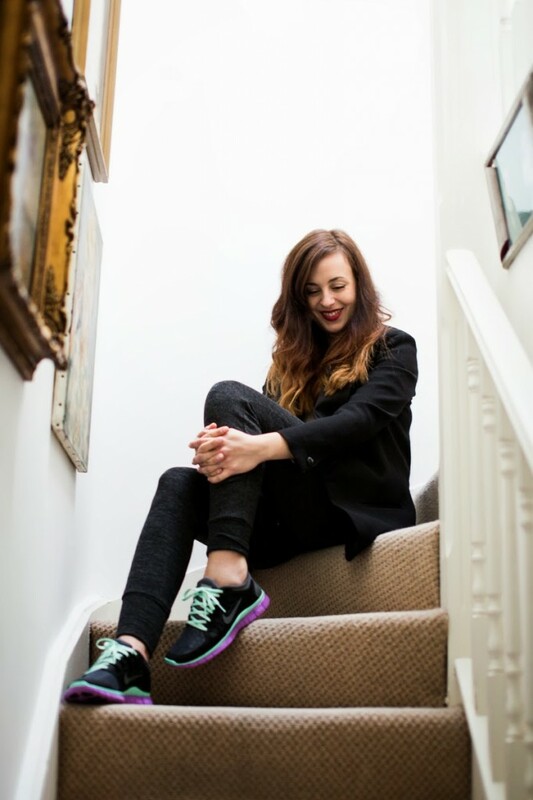 Now Laetitia is a regular contributor to Glamour UK’s Style Tribe, and The Financial Times’ How to Spend It. In addition, she just published her first book, Multifac(t)s, Style Yourself with Jewelry, at Les Editions de la Martinière, in collaboration with Swarovski. As a Parisian journalist and consultant, what motivated you to move to London? I was 25 when I made the move to the UK. It was quite an impulsive decision. I moved because I was in love with a boy who lived in Bristol at the time. As a freelance journalist, I had that freedom, to just up it and leave, even just for a few months (that was my initial plan). I moved to London six months later. I have always been quite the anglophile and grew up on British culture. I guess like many teens in the 90s, I was also very much taken with Brit-pop and the idea of moving to where it all began was very appealing to me. What was the process like for you when starting a business and building a brand for yourself in London? It was all very accidental. When I moved here, I took normal 9-to-5 jobs. I used to be a videogames journalist in Paris, so I applied for jobs in videogames companies here in London. I only started my blog while I was on maternity leave, without any real plans for it apart from it being a welcome distraction from diaper-changing and a sleeping baby. When the blog first took off, I just went with it. It is still going strong and I am here to tell the tale, so I guess I made the right choice! I am an accidental businesswoman, I guess. Your first book, Multiface(t)s, Style Yourself With Jewelry, was released in December 2013 in collaboration with Swarovski. Tell us a bit about the book and your contribution to it. As the author of the book, I worked closely with Swarovski’s Creative Director, Nathalie Colin, to make this beautiful book. She came up with the concept and we had long discussions about everything jewelry and her vision for the brand; then I went home and wrote stories about jewelry and how it punctuates the life of a woman. What was the biggest challenge you faced when you started MademoiselleRobot.com? The biggest challenge was to find legitimacy as a blogger. This is still a challenge, as I still don’t feel bloggers command all the respect they should receive. We are often dismissed as ‘just bloggers’, which is quite a hard thing to swallow when you work constantly! What has been the most pleasant surprise or best part about starting a business abroad? How easy it all was! Moving is a reinvention of sorts, and starting a business was like a true revelation. You’ve collaborated with brands like Net-a-Porter, Lacoste, Ted Baker, Swarovski, French Connection and Barbour. Who would you love to work with next? I don’t really tend to think about that. I like when things happen organically. I like being surprised by the way life happens. What can we expect to see in the future on MademoiselleRobot.com? A lot more lifestyle features and new videos. This year is the year I go all in, so it should be interesting. Do you have any plans to permanently return to France? Not in the immediate future. I would like to try and live in Los Angeles for a bit, perhaps. 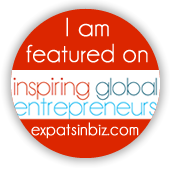 What advice do you have for an expat wanting to start a business abroad? Embrace the change and make it happen. Visit www.mademoisellerobot.com for more information. SHARE this article with your friends by using the social media buttons below.